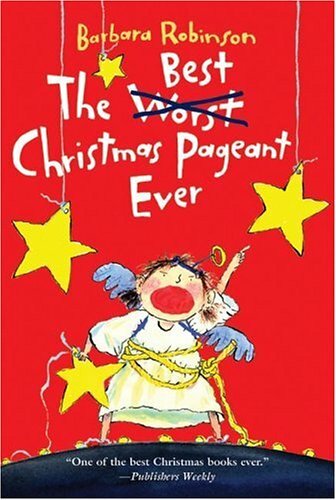 About the Book: What happens when the meanest kids around want to appear in the annual Christmas Pageant? They don't know the story and everyone is braced for the worst pageant yet. But the Herdman's are about to change the Christmas Pageant in a way no one will forget. GreenBeanTeenQueen Says: I can't believe I haven't read this book before. Every Christmas I tell myself I'm going to pick it up and I never get to it. This is I checked it out and read it in one sitting (it's a short little book). I can see why this is a favorite book of many readers. The Herdmans are memorable characters and their antics are pretty funny. I was expecting more humor and silly things to happen at the pageant, so I was a bit dissapointed there. Even though the book was written in the 70's, I didn't think it felt outdated at all and I think tweens today could still relate to the fear of bullies, gossiping adults, and a new way of trying things. A fun holiday book for all ages! I have this set to review for Tween Tuesday next week!! How funny. I reviewed The Agony of Alice for Tween Tuesday this week. You can read that here. That book is timeless. Very funny. *Hangs head. * I have seven copies of this in my library. It is the only book that makes me snort-laugh, it's that funny. One of my teachers even hunted down the movie!